Culinary Specialists (CS) receive a starting salary of $46,595 with a $40,000 signing bonus for those with an Associate’s Degree in Culinary Arts. Culinary Specialists coming in without a degree are eligible for a $20,000 bonus. These bonuses are available if their career is continued in the Coast Guard. For any questions regarding a career as a CS, e-mail culinarycareers@uscg.mil. 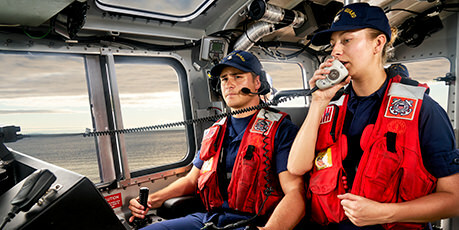 Food is about sustenance and nutrition, but in the United States Coast Guard, it’s about so much more. In our ranks, food is critical to morale, camaraderie, and contentment. As a Culinary Specialist (CS) in the Coast Guard, you can take your passion for food preparation and make a stable and rewarding career out of it. The best chefs in the world all share one thing in common: they’ve undergone training to perfect their craft. Working with food in the Coast Guard is no different. Once you make the decision to become a CS, you’ll undergo 13 weeks of training at the Coast Guard culinary school in Petaluma, California. In addition to the culinary techniques you’ll acquire, your training will also equip you with an in-depth understanding of accounting and purchasing, inventory management, military leadership, nutrition, and time management. That’s in addition to the equipment, safety, sanitation, and dining-facility management training you will undergo. Further advanced culinary and leadership training is also available. Culinary Specialists run kitchens in a variety of environments, spanning roughly 370 locations worldwide. In this diverse and unique specialty, you may find yourself operating your own dining facility as an independent duty food service officer on board a patrol boat, river tender, or small boat station. Other opportunities include high-profile jobs such as serving as a special command aide (personal chef) for flag officers, cooking in the Executive Dining Facility, or even working as a chef in the White House. The benefits package you’ll receive as a Coast Guard CS is one that reflects an appreciation for your passion and service, along with a positive work-life balance. Whereas the average starting salary for a civilian sous chef is $35,000, the average starting salary for an CS in the Coast Guard is $46,595 and includes the extensive benefits outlined below. Health Coverage – Receive complete insurance coverage, including medical, dental and eye, at no cost to you. 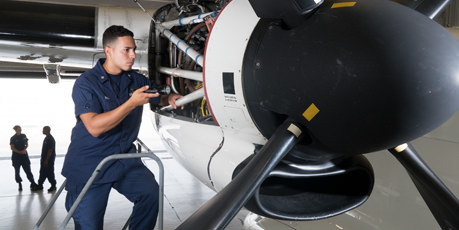 Tuition Assistance – The Coast Guard will help cover up to 100% of the cost of your education, and is capped at $250.00 per semester hour and $4,000 per year. Food Service Specialist School – The USCG CS School is ACE accredited, meaning credits will transfer to most college across the country. Exam Coverage – CLEB, DANTES, and GRE exams are all free for military members. A Coast Guard CS should possess creativity and a passion for food preparation, along with a strong work ethic and good communication skills. In this career field, you’ll need a strong desire to prepare and serve high quality food. You should also have the ability to understand and apply instruction and procedures for safely handling food as well as a good mathematical background for finances, inventory, and recipe conversions. If you have studied or received a degree at a culinary school, the Coast Guard is the perfect organization to apply your knowledge and continue your culinary development in a structured and rewarding career path.